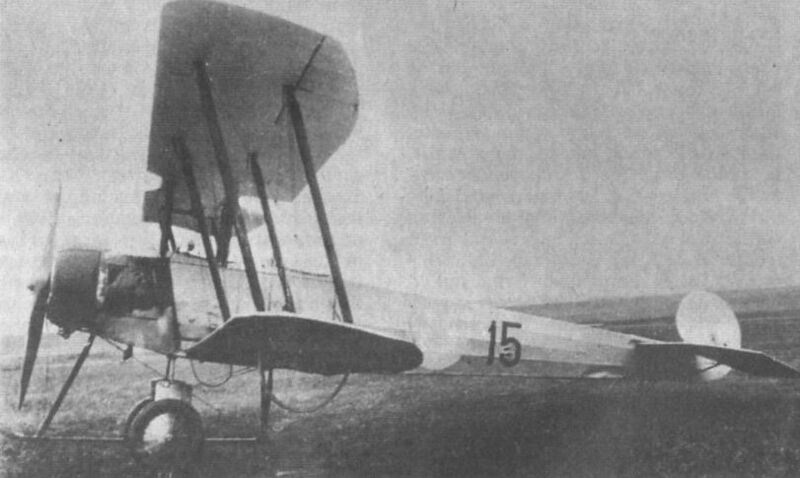 An Avro 504R Gosport trainer serving with the Argentine Army Aviation Corps about 1927/28. This example is powered by a 100 h.p. Gnome Monosoupape rotary engine. The ultimate 504 variant, the 504R was completely reworked to produce a lighter machine with the fine handling characteristics of the 504). 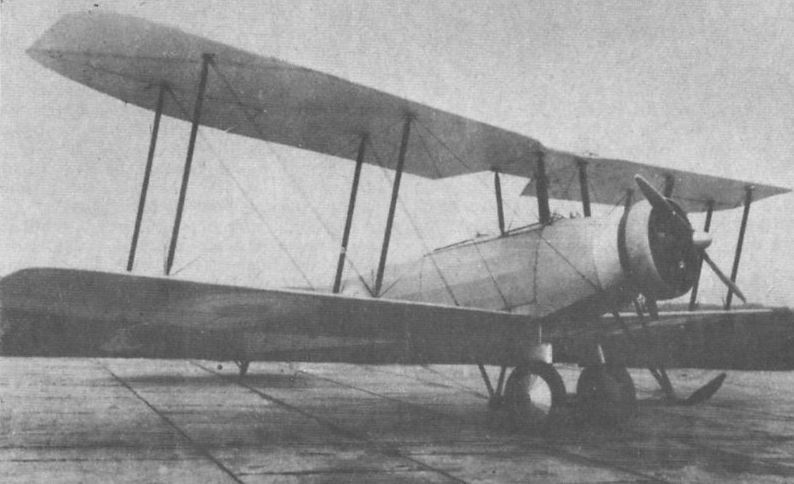 Avro delivered ten to the Argentine Military Air Service in June 1927, and 100 were built under licence by the Military Aviation Factory (Fabrica Militar de Aviones). Another Argentine Army Aviation Corps Avro 504R Gosport. This time, however, the engine is a radial (possibly an Armstrong Siddeley Mongoose or Lynx) fitted with a Townend ring. This was apparently one of the 100 Argentine-built machines. A total of 35 Martin 139W bombers was supplied to Argentina between 1936 and 1938. Of these, some 22 equipped the Army, probably being allocated the serials B-501 to B-522. Power was provided by a pair of 775 h.p. Wright R-1820-33 radial engines. This example, B-504, is seen over Buenos Aires about 1943. The unit badge just aft of the turret apparently depicts a figure riding a bomb and whirling a pair of bolos. Another study of 139W B-504 over Buenos Aires in 1943. The front gunner, rear gunner, and a gun position behind the bomb bay each hod a single 0.30in gun. Martin 139W B-501, again over Buenos Aires about 1943. The unusual practice of applying the aeroplane's serial number to the wing leading edges is well shown. Martin 139W B-511 displays a non-standard "nose-job”, the conventional turret having been replaced by new glazing. While attempting a formation landing at La Quiaca, Jujuy Province (over 3,000m above sea level), three 139Ws, B-513, B-515 and B-518, were involved in an accident when the leader misjudged hit speed. Nobody was hurt, but B-513 is seen on its belly after the mishap. 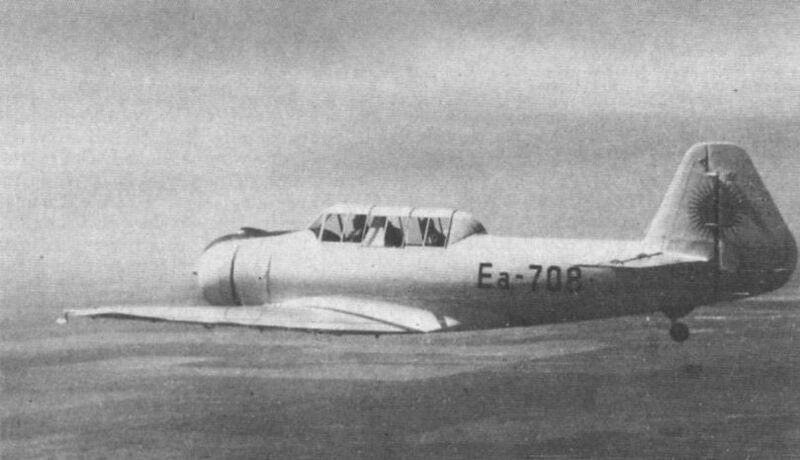 IAE D.L.22-C Ea-708 in flight. Developed by Argentina’s Institute Aerotecnico as a reconnaissance and light attack aircraft and trainer, the IAE D.L.22 made its first flight in May 1943. Two versions were produced; the D.L.22, powered by the 450 h.p. El Caucho radial, and the D.L.22-C with a 475 h.p. Armstrong Siddeley Cheetah 25. A total of 220 was built.